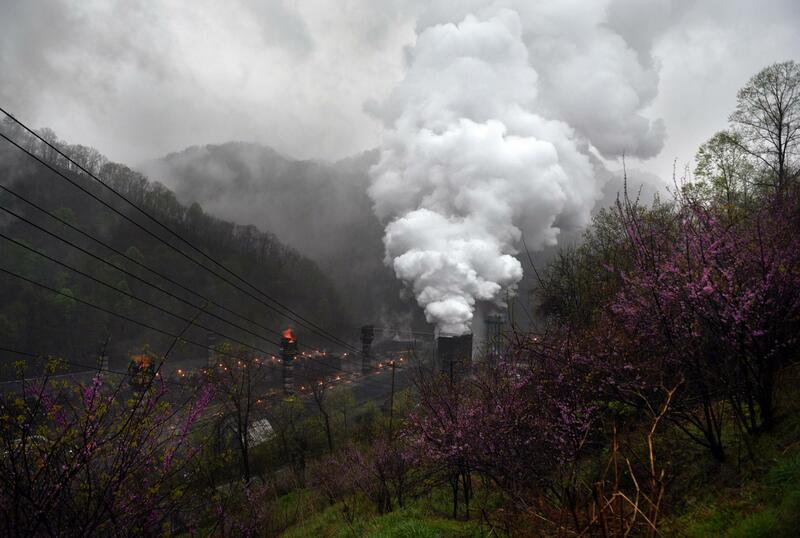 The SunCoke Energy Jewell Thompson in Vansant, Va., sometimes called "the cloud machine." Kyle Johnson heads home to wash up and sleep. Johnson near the steep hills of Grundy, Va.
Johnson in his apartment in Honaker, Va. He says the Confederate flag to him is not about slavery but history and the fact that Virginia fought in the Civil War. Gary Dotson co-owns Cavalier, a small business that operates this mine in eastern Kentucky. He and his buddy went into business together back in the '80s, and over the years they have made good money. 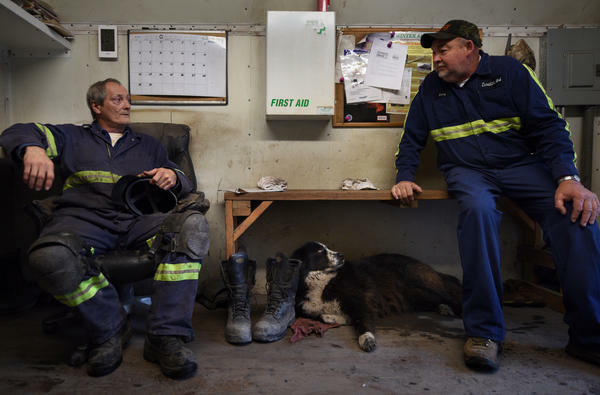 Dotson (right) and his employee Bill Spencer talk as local dog Sweetie hangs out. Spencer says if the mine goes out of business, he's "done for." 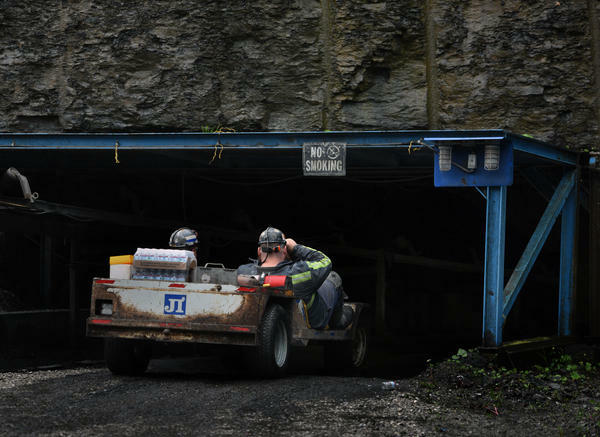 Bobby Jr. Sargent and Paul Stalker, employees at Cavalier, prepare to drive into the mine. The seats on their vehicle are reclined to allow clearance under the mine's low ceiling. Sargent and Stalker drive into "the hole," which leads them more than a mile into a mountain. 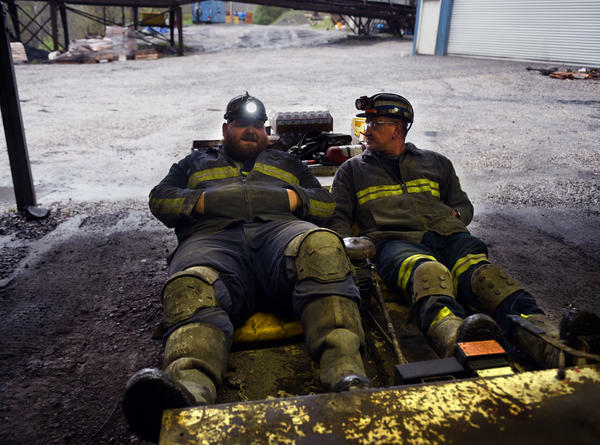 The Cavalier mine near Elkhorn City, Ky., run by Dotson and two other partners, has downsized and cut pay and benefits in recent years as a result of the downturn in the coal market. 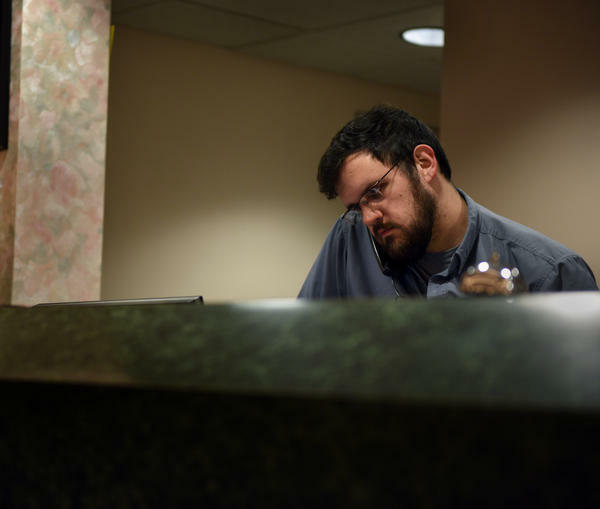 Brad Pennington, 23, works at a hotel in Grundy, Va. 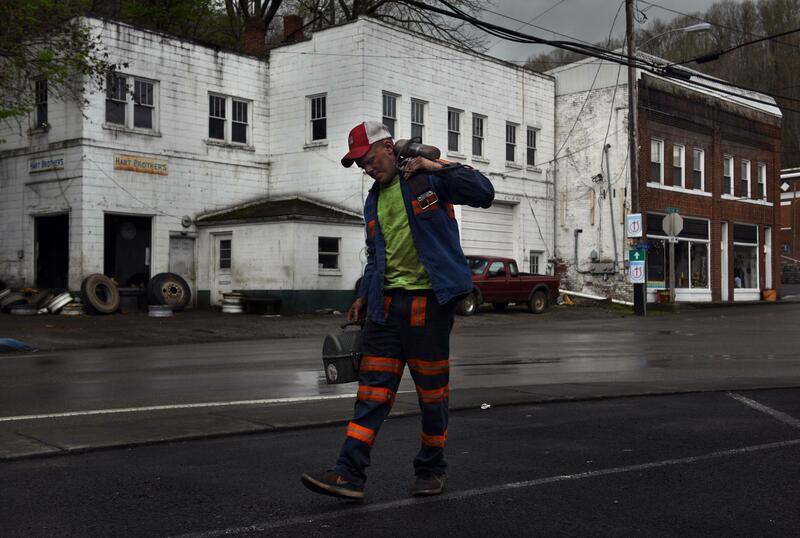 Without a college degree and no interest in working in coal, Pennington saw a dim future if he stayed. 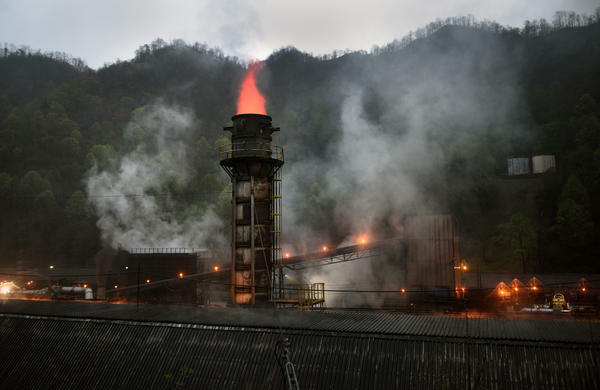 Metallurgical coal mined in this region of Appalachia is brought here to SunCoke Energy Jewell Thompson to become "coking coal," which is then used to make steel. The SunCoke Energy Jewell Thompson prep plant. Derek Akal on the porch of his home. His family lives next to the Eastern Kentucky Social Club, now open only on certain occasions like Memorial Day. It was formerly a segregated school for African-Americans called Lynch Colored Public School. There is also a memorial to black coal miners. Akal waits at dawn for his aunt to pick him up and take him to work at a factory. 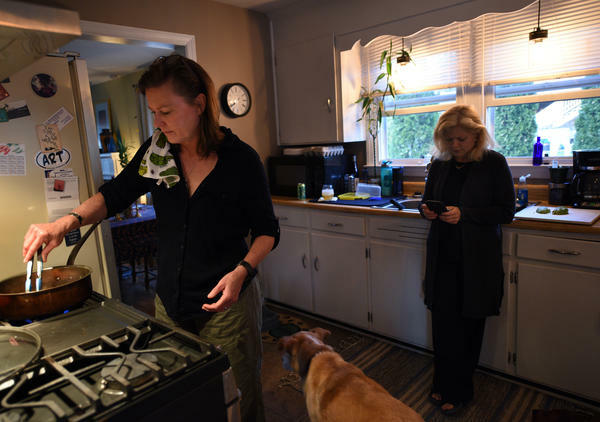 Rema Keen (right) and her partner, Susan Stancill. 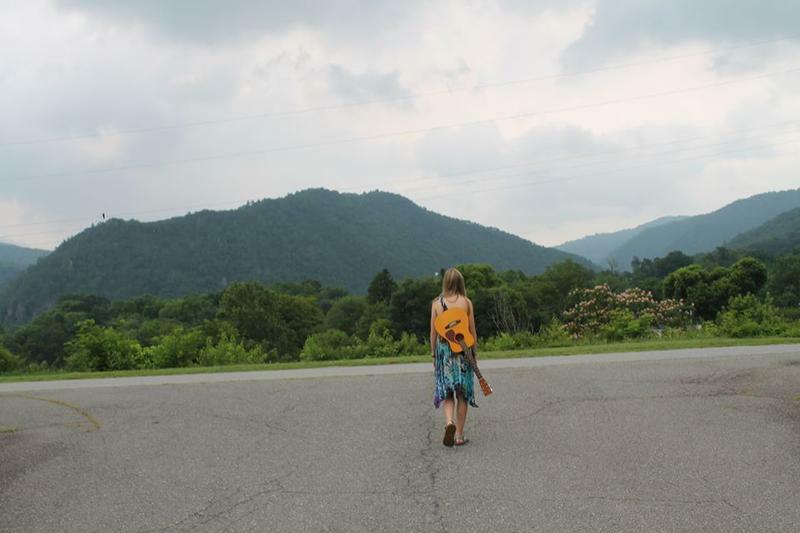 Keen is from Buchanan County and her ancestors were in coal mining. Keen (right) checks her phone as Stancill prepares a meal. Stancill believes attitudes in the coal counties will eventually change. We actually started going to the region just before the election, when most people still thought Clinton was going to win. We wanted to know what it feels like to live through the decline of an industry, the loss of so many jobs. Did those miners end up working their asses off? "I just turned the radio up," Johnson says. "I was like, 'Yeah!' 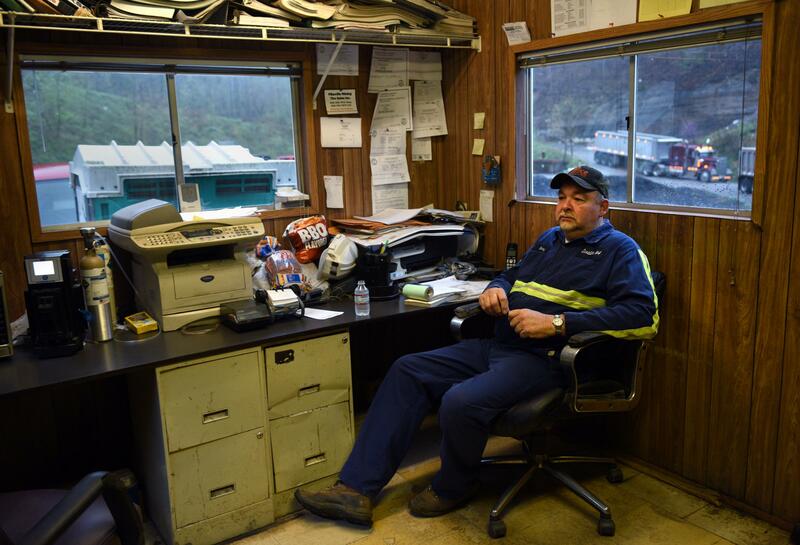 "
"I don't think anyone here in the coalfields thought [Trump's] going to bring back every job," says Johnson. "But ... I think everybody thought maybe he's going to bring back my job." In December 2017, he got a job at a mine. He started as "red hat," or a rookie in training. Gary Dotson is a coal operator. That means he's like a contractor. Big companies that own the rights to the land contract him to mine the coal. In the good years, Dotson did well. He bought a second home on a lake. But in the lean years, it's tough. Still, Dotson managed to survive — until the most recent downturn, during the Obama administration. The company he had contracted with cut what it had agreed to pay Dotson. So Dotson and his partners cut their own salaries by 20 percent. They cut the employees' salaries by 10 percent. They eliminated the employees' health insurance. 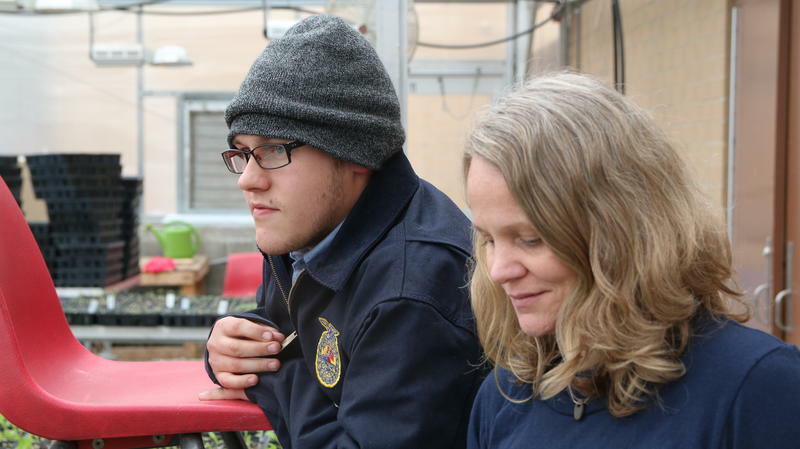 "And then we just said ... if we have to cut them anymore we'll just quit," Dotson says. Until Trump got elected — and the price of metallurgical coal started going up. Dotson is still locked into his current contract. But he thinks things will get better, soon, like a renegotiated contract, or a second contract with a new company. We ask Dotson's partner Barry Estep about all this. "Maybe this is light at the end of the tunnel we've all been hoping for," he says. By "this," he means Trump. Still, as the months go by, the situation with the company that owns the mining rights does not improve. Dotson and his partners have managed to keep operating, but every month it seems like they might be on the verge of shutting down. 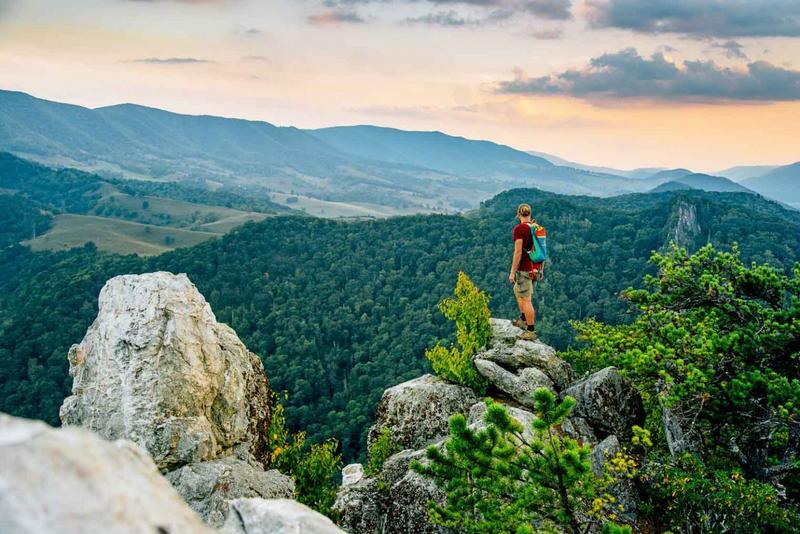 Brad Pennington liked growing up in the mountains of Buchanan County, Va.
"It's the kind of stuff you'd pay $20 a movie ticket to go see on a big screen somewhere," he says. 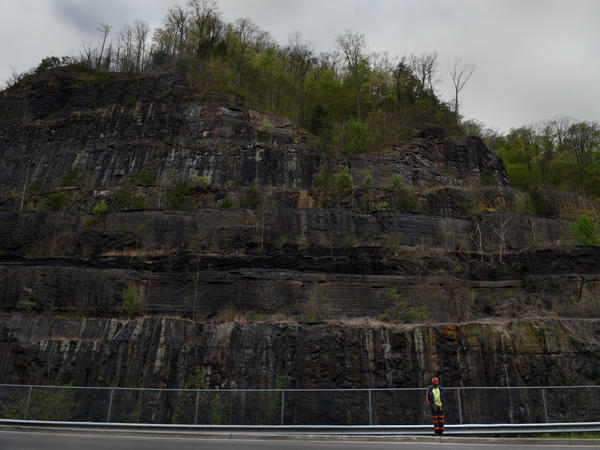 But as he grew up, a county that had been one of the wealthiest in the country declined as the coal industry declined. Pennington decided it would never come back. "There's nothing here," he says. "It's slowly dying." After high school, Pennington worked at Walmart, tried community college, dropped out, worked in a scrap yard, then worked for a little while as a security guard at a coal mine. But a guy died in the mine, and Pennington got spooked. He heard layoffs were coming, so he quit. When we met him, Pennington worked the front desk at a hotel, on the night shift. He lived with his parents, while most of his high school friends had already left the county. "It scares the s*** out of you, if you don't mind me saying that," he says. "I mean if you got fired tomorrow or quit tomorrow there's absolutely no opportunity to get another [job]." 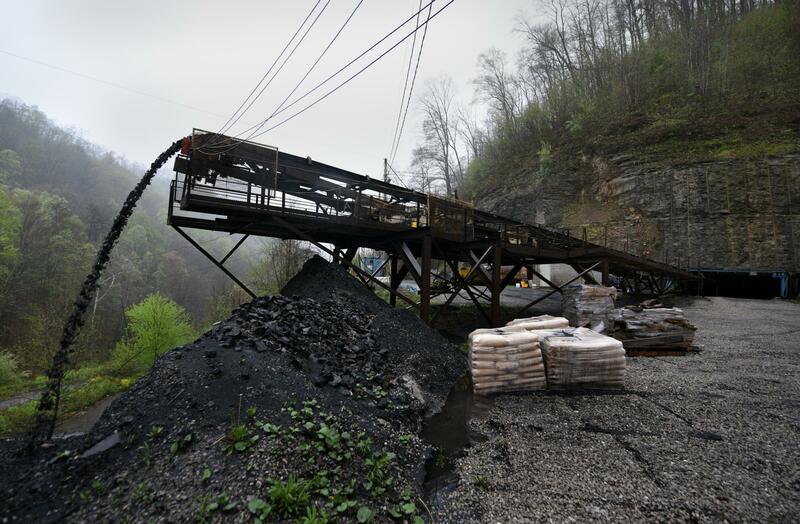 Even though there has been an upturn in coal, Pennington says it's just a blip. Coal is not going to make a big comeback, he says, like Trump promised and people believed. "You can't ... keep propping it up and hoping for it to last forever because it won't," he says. So Pennington thought the best thing he could do was leave the county. And he did. He moved to the next county over, got engaged to his girlfriend and got his own apartment. He landed a new job, too. It pays almost $3 more per hour than the hotel did. He wants to use the extra cash to get a college degree and a "career I want to pursue the rest of my life." 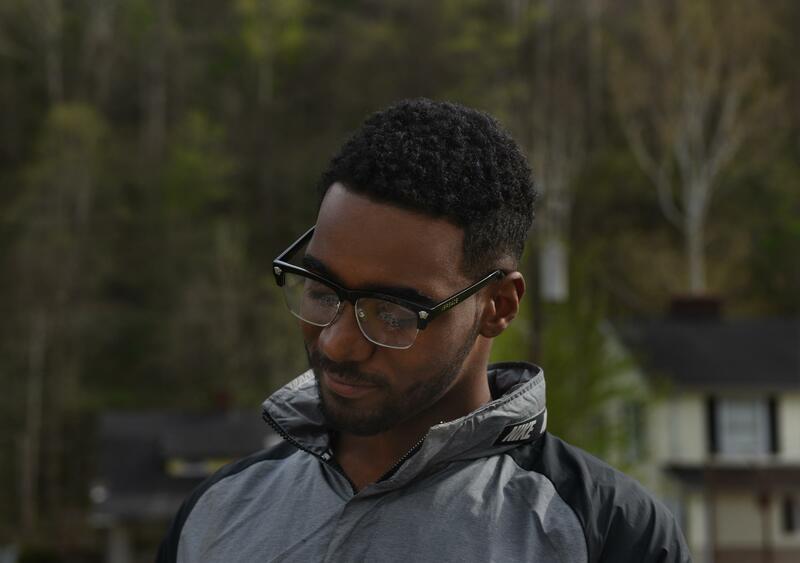 Derek Akal's great-grandfather worked in eastern Kentucky as a coal miner. So did his grandfather. And his grandmother. His family is African-American — and they weren't exactly outliers. All across central Appalachia, the black population grew in the early to middle 20th century. 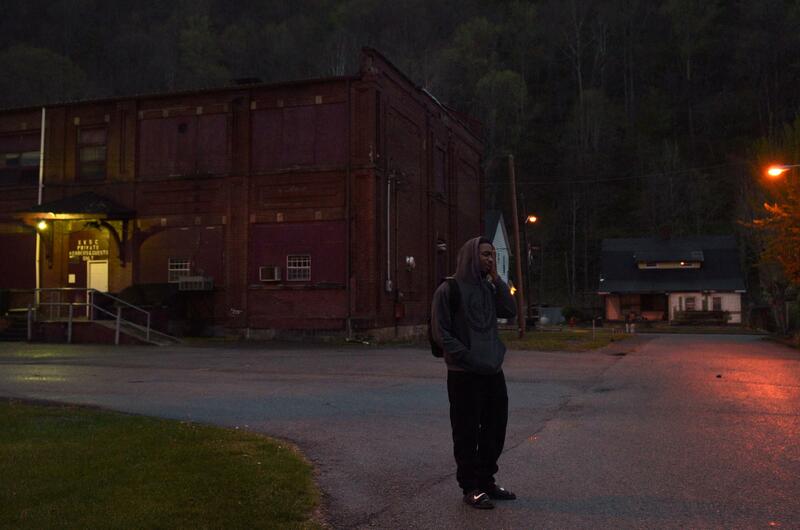 In the Akals' hometown of Lynch, Ky., black families made up 35 percent of the population at one point. But Akal does not want to be a coal miner. He wants to move to Los Angeles to pursue a new career — maybe the solar industry; maybe modeling; maybe even race car driving. He says the recent promises by Trump to bring back coal — and the recent upturn in coal jobs — are not for him. Those promises and jobs, he says, are for white people. 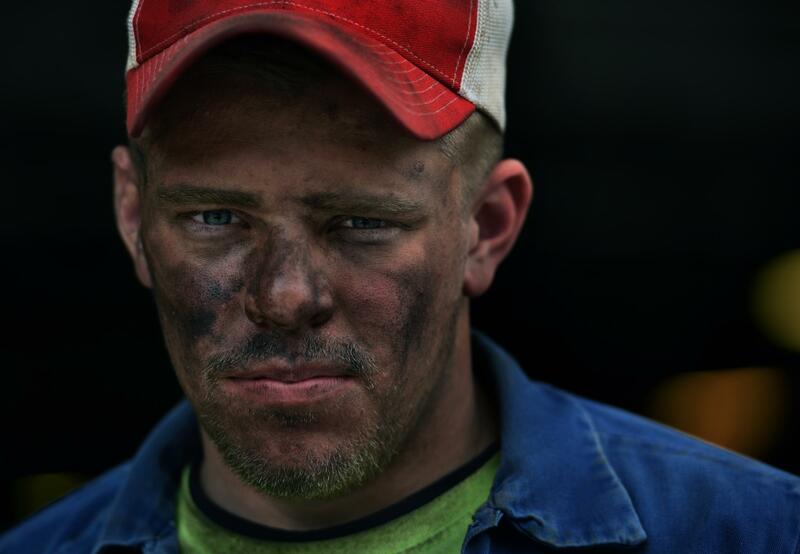 "Honestly, I haven't seen a black coal miner in years," he says. Akal is skeptical, too, that coal will make a comeback. As for the situation in Lynch, he says, "I haven't seen anything different." Rema Keen grew up in Buchanan County. Over the decades, a lot of her relatives worked in coal. Years ago, Keen and a co-writer turned the life of Keen's grandmother Teddy into a play. Teddy married a coal miner named Clyde. Teddy and Clyde had seven kids, and when Teddy was pregnant with the eighth, an explosion in the mine killed Clyde and 36 other miners. It was 1957; the family got $50 compensation. Keen traveled all over the U.S. doing the play about Teddy and Clyde. 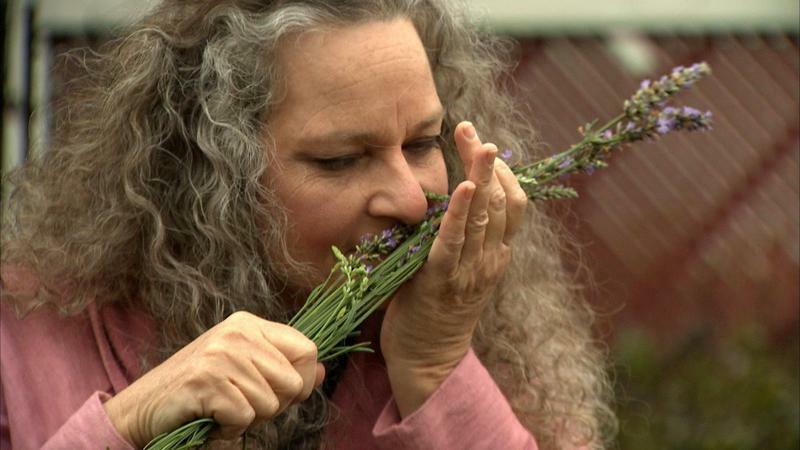 Then, a few years ago, she decided she wanted to come back to Buchanan County and live in a little old house on her family's land. She says coming back, she started to understand why people feel so strongly about so many coal jobs going away. "It's an immediate need," she says. "I understand where they're coming from." After she moved back to Buchanan County, Keen met Susan Stancill on a dating site. When Stancill asked Keen where she lived, Keen said, "Well it's not the end of the world, but you can see it from here." Stancill learned to shoot a .22 rifle and kill rodents. She says her time in the county has taught her how to listen, too. "I have come to understand that ... where you stand depends on where you're sitting." Stancill works for a Democratic candidate for Congress, a few counties over. She believes the only way to change the narrative in the coal counties is to remind people that hard times are not all the government's fault. The coal industry is to blame, too. "We need to take a longer view and invest in a longer thing," she says. 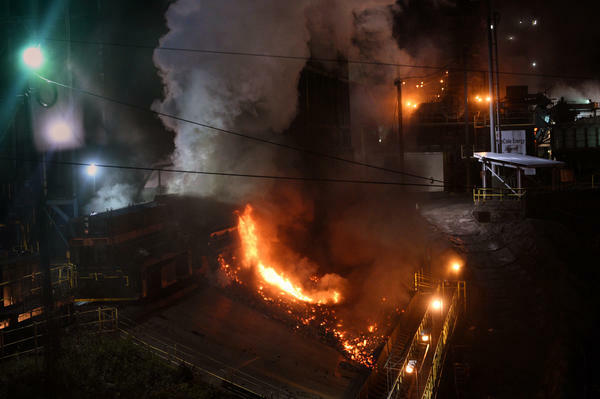 Benny Becker of WMMT and the Ohio Valley ReSource contributed reporting to this story. 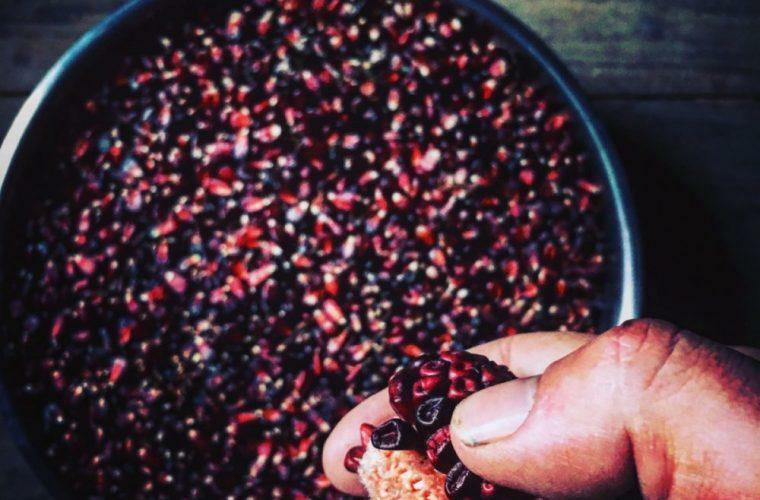 “Food is political but not partisan.” This apt perspective came from Mike Costello in a conversation earlier this year as we imagined ways to expand 100 Days in Appalachia beyond political coverage, and he joined the team to lead our reporting on food and culture for the region. Mike has long been one of my favorite Appalachians — a printmaker, fiddler, storyteller, satirist, photographer, square dance caller, restorator, entrepreneur, food historian, gardener, forager, hunter ... and brilliant chef. 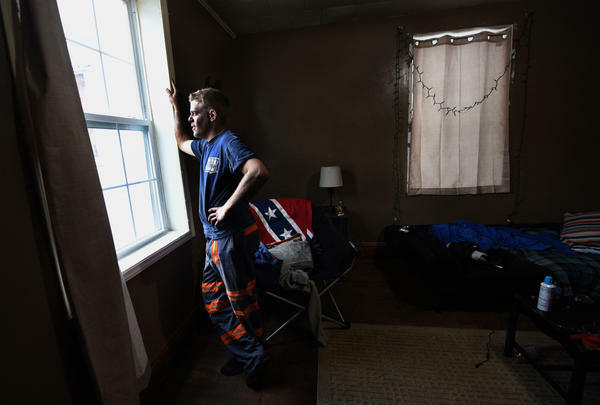 Several federally funded job-training programs have emerged in recent years designed to help revitalize coal country. In 2017 alone, the Appalachian Regional Commission, a federal-state partnership focused on economic development since the mid-1960s, approved more than $150 million in projects for the region. But how successful are these programs, and what are the challenges?